Last week I took a race back home to see loved ones, soak up some culture and eat some good food. The Northern Irish excel at good food and eating is a national past time. I’m pretty certain we invented the term ‘traybake’ though in crossing the Irish Sea these goodies appear to have shrunk and assume a rather paltry portion size that would almost certainly be sent back should one dare present its puny self in a coffee shop back home. The dark horse leading the charge of the (possibly-not-so-) light brigade towards food nirvana is none other than Belfast-based chocolatier Co Couture. 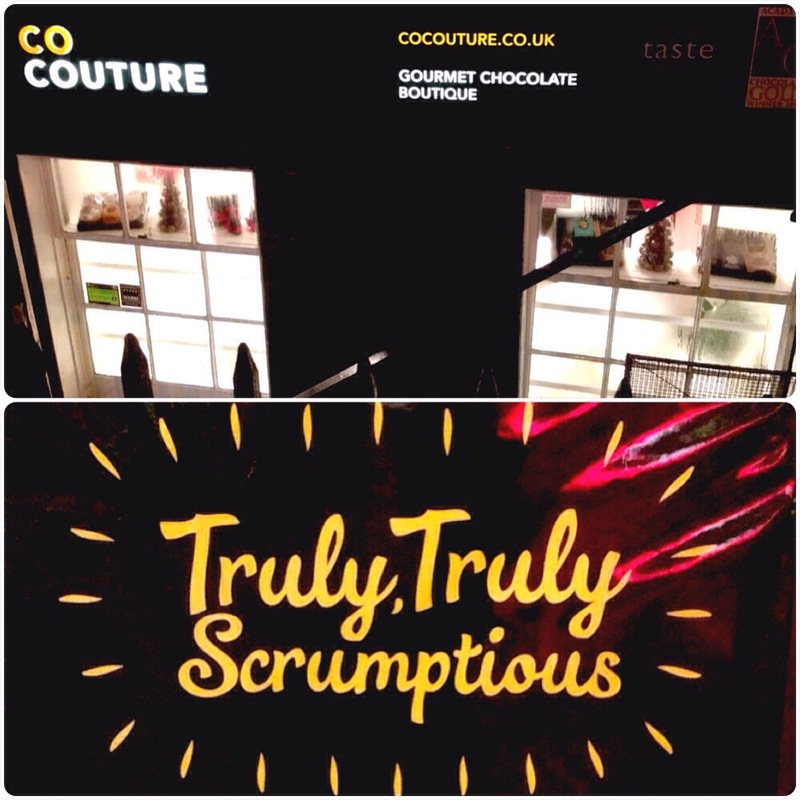 Discreetly tucked away down the steps of a basement on Chichester Street Co Couture has quietly been gathering an army of followers over the past few months and I for one am a devoted disciple to the church of chocolate. I arrived pretty late to the Co Couture appreciation party only discovering their existence during Belfast Restaurant Week last year but it was love at first taste. I attended their dessert club which I wrote a bit about here and when I discovered they were hosting another one which happened to coincide with my trip home I knew it was fate and managed to bag a spot for my mum and I on the Saturday night. 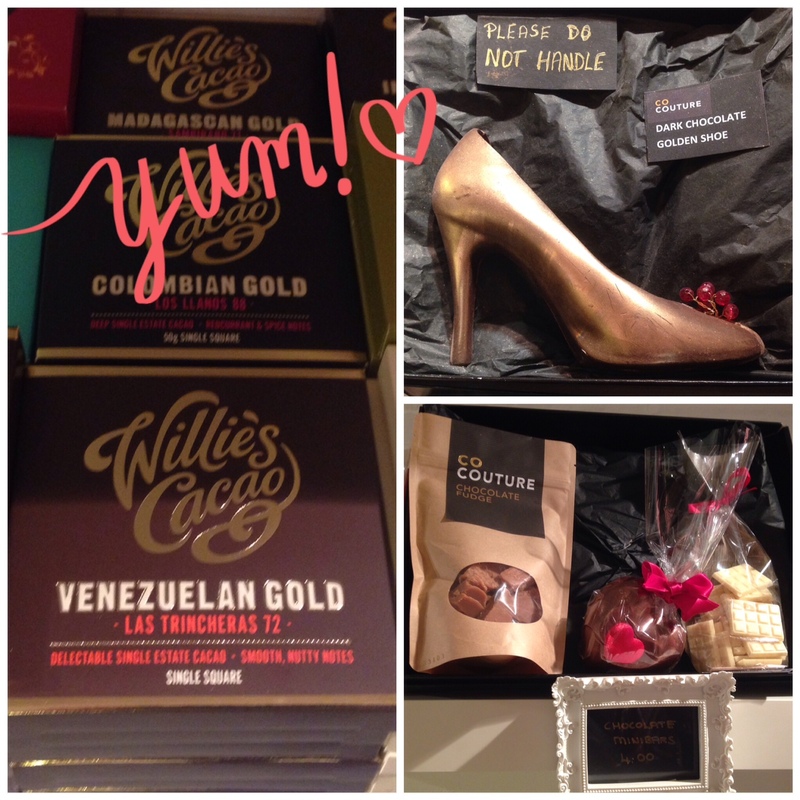 The bijoux chocolate boutique showcases an impressive array of award-winning fare and the minute you open the door you are greeted by the welcoming waft of chocolate. But the best is yet to come! 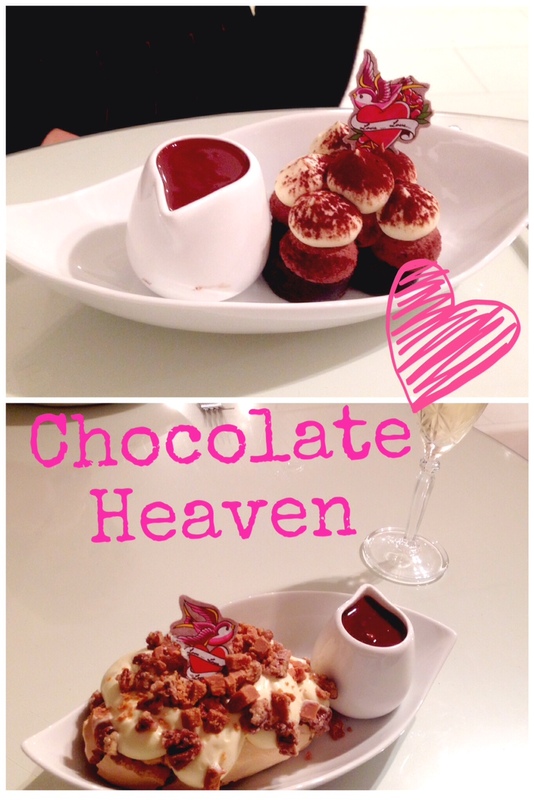 Dessert club is a fairly intimate affair with just two small tables and a sofa amounting to a full house. 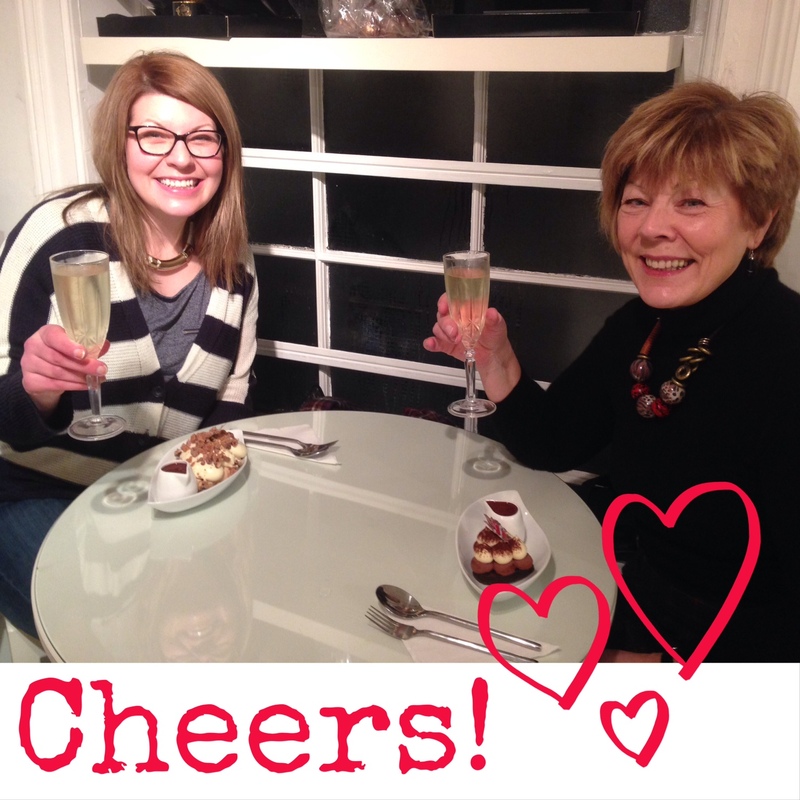 You can enjoy your dessert of choice with a cup of Suki tea for £5 or go all out with a glass of Cava for £8. Co Couture owner Deirdre and her team were recently recognised by The Bluffer’s Guide to Chocolate as one of the best chocolatiers in the world. High praise indeed but is it really as great as they hype makes out? In short, yes. Deirdre’s desserts are divine! 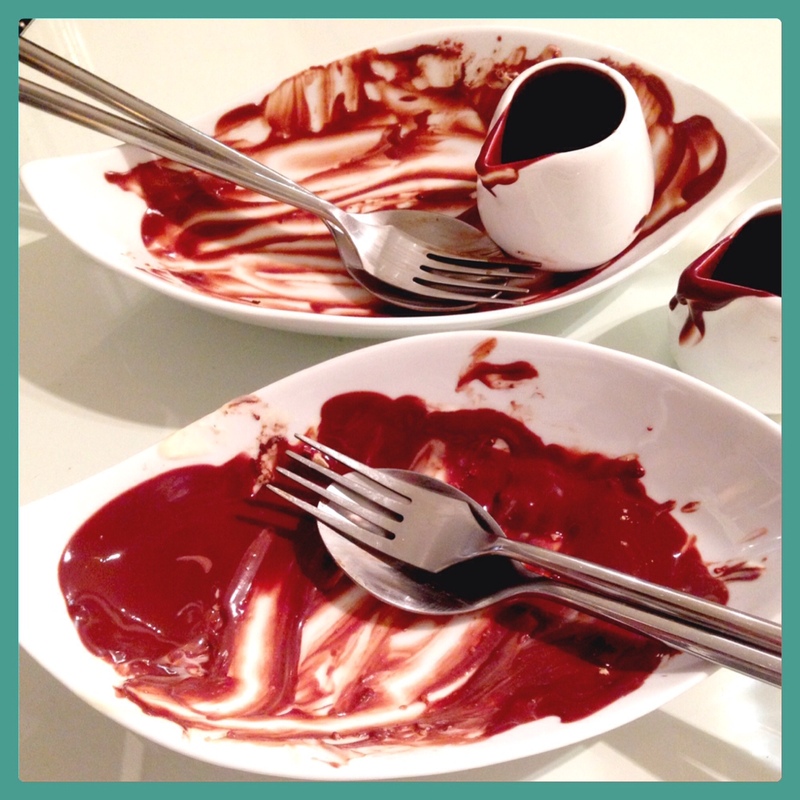 Mum and I shared a salted caramel pecan meringue and Mississippi mud pie with Co Couture’s signature chocolate sauce. Being the gorb that I am I got a bit ahead of myself and poured far too much chocolate sauce onto mine so if I was having it again I’d probably be a little less heavy handed! The desserts were just the right size to sate but not overpower and were presented with such attention to detail from their arrangement on the plate down to their rockabilly-style edible garnish on top. I always think going out for dinner is one big lead up to the dessert. I mean, if you are lucky, you basically eat a main course for your dinner every night anyway but a dessert isn’t necessarily a regular feature on the tea time menu, it’s a treat!